Last night at the Golden Globes, the accessory of the evening was the black-and-white Time’s Up pin, as seen on the lapels and collars of stars like Justin Timberlake, Daniel Kaluuya, Ewan McGregor, Michelle Pfeiffer, William H. Macy, Joseph Fiennes, Joe and Nick Jonas and Ryan Seacrest. Time’s Up, announced last Monday, is an initiative created by several hundred actresses and female agents, writers, directors and entertainment executives to fight sexual misconduct across the country. It has no leadership and members include Ashley Judd, Eva Longoria, America Ferrera, Natalie Portman, Rashida Jones, Emma Stone, Kerry Washington and Reese Witherspoon. Ms. Witherspoon asked Arianne Phillips, a costume designer and stylist who has worked with Madonna and on movies like “Kingsman: The Golden Circle” and the Tom Ford-directed “Nocturnal Animals,” to design the pins last month, according to The Hollywood Reporter. 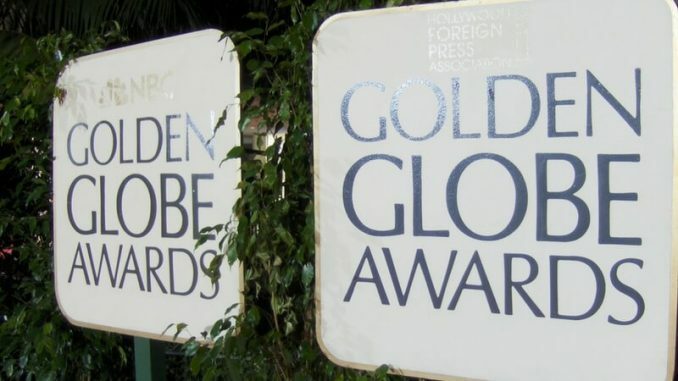 The pins complement the decision by many actors to wear all black to the awards as a show of support for those who have experienced sexual misconduct. “Reese asked me to come to the actors’ group, and told me they were going to be wearing black and would I consider creating a pin for the nominees and male presenters,” Ms. Phillips told The Hollywood Reporter. “We were up against the holidays, but I said I could do it, and the first person I called was my partner-in-crime, Michael Schmidt.” (Mr. Schmidt is a designer who has worked with Rihanna, Cher and Lady Gaga, among many others). Together, the two of them designed the pin and had 500 versions of it produced within two weeks. 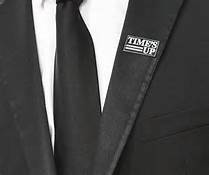 Time’s Up includes a legal defense fund, backed by donations from members, that is intended to help less privileged women pursue action against those who violate them; a working group developing ideas for legislation; and a drive to push studios and talent agencies to have a more even balance of men and women in their employment.